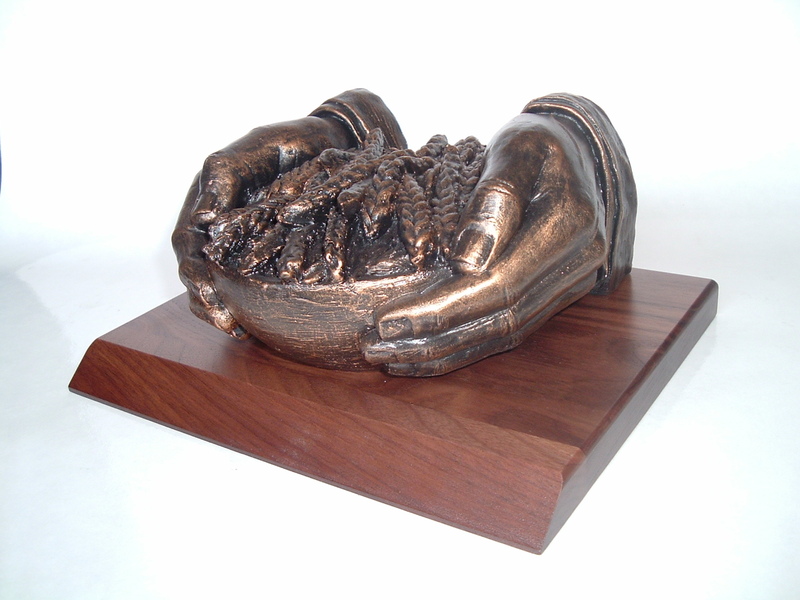 The Harvest is a beautiful piece of Christian sculpture that would make a wonderful gift idea or home décor addition. It measures 6" H x 9" W x 9" D and comes with a custom walnut round base or a custom slanted base. A double thick round walnut base is available for an additional $15.00.